The Rs404.8bn Khyber Pakhtunkhwa balanced budget for 2014-15, with a Rs139.8bn annual development programme, is aimed at addressing economic, social and industrial woes of the impoverished province, but falls short of business expectations. “It is a status-quo budget devoid of any change, vision and reform agenda, and neglects the potential sectors. KP is beset with flight of capital, rising unemployment, terrorism and energy shortage. Joblessness is on the rise — there is 14.8pc unemployment in Khyber Pakhtunkhwa. “Emergency steps are needed for economic growth, industrial revival, infrastructure development, energy supply, revival of sick industrial units and improvement in law and order and technical and IT education. But there is no proper roadmap for these areas. “The government has failed to give new mineral, industrial, hydro, oil/gas and tourism policies reflective of its agenda for change,” says KP Chamber of Commerce and Industry President Zahidullah Shinwari. The new budget is bigger by Rs69bn than the current budget of Rs344bn, while the ADP is higher by Rs21bn over this fiscal’s Rs118bn. Major revenue receipts include Rs227.12bn from federal tax assignments, Rs12bn in net hydro profit, Rs32.27bn as NHP arrears, Rs29.26bn from oil/gas royalty, Rs27.29bn as war on terror grant and Rs35.35bn as foreign assistance etc. KP’s own revenue receipts are estimated at Rs29bn (up by 70 per cent against the current year) and include Rs19.45bn in tax receipts and non-tax revenue of Rs9.3bn. This includes Rs12bn as GST on services. The province also earns Rs2.85bn from its own power plants. The budget suggests insufficient measures to check the current expenditure which has reached around 70 per cent of the total budgeted outlay. The finance minister promised to provide 15,000 more jobs in the public sector, but admitted that joblessness cannot be eliminated by the government alone. Without support of the private sector, and for that matter, economic growth, the problem cannot be solved. There seems to be a genuine attempt to raise provincial revenues. The PTI-led KP government has proposed a progressive tax on agriculture income, as well as land tax and property tax. The KP revenue authority will conduct a proper survey to determine the property tax. It intends to raise fees on stamp duty, professionals and professional institutions, business establishments etc. Strangely, a PTI-led government is to tax educational institutions, including medical, engineering and law colleges. The finance minister says the province is replete with abundant human and natural resources, but its population is living in poverty and backwardness owing to unfair distribution of resources, flawed planning, joblessness, illiteracy, corruption, nepotism, weak accountability system and lack of good governance. He vowed to root out these evils. Prepared under the ‘Integrated Development Strategy’, the budget aims at good governance, responsive social services delivery, economic prosperity, peace, economic growth and job creation, improved transparency and accountability, enhanced fiscal space and gender equity. The minister said the private sector would be involved in the construction and maintenance of public sector development projects in partnership with the public sector. However, important sectors have been allocated higher but yet paltry sums: Rs3.4bn for power sector against Rs1.4bn in the current year; Rs4.7bn against Rs3.28bn for irrigation and Rs1.58bn against Rs1.53bn for agriculture. Agriculture is the backbone of the economy as 70 per cent people in KP are dependent on it for their survival. A Board of Investment and Trade has been formed to ensure an investment- friendly environment and for economic revival. The KP oil and gas authority has been constituted for better use of existing resources and for exploring new ones. But the impact of the two bodies is still not yet visible. The finance minister says KP’s industrial sector is hit by lawlessness, energy crisis, limited market, high cost of production, dilapidated infrastructure and inadequate technical knowhow. For this, technical education is to be promoted and has been allocated Rs3.7bn. A self-reliance scheme with a Rs2.7bn rolling fund has been proposed to give interest- free loans of Rs50,000-200,000 to jobless youth. He said the mineral sector could be used for poverty alleviation but earmarked only Rs0.62cbn for the sector. The government intends to set up a stock exchange in Peshawar and is seeking support of the federal government in this regard. Several austerity measures have been proposed to bring down expenditure. No treatment/training abroad, no new cars and no new posts are to be allowed unless approved by the chief minister. The construction of houses for officials and ministers on 20 marlas and 110 per cent raise in salaries of ministers, advisors etc. This is, however, being resented. A sum of Rs7.9bn has been allocated for a pro-poor initiative under which various welfare programmes such as health insurance and provincial youth technical education etc will be launched. A Rs6bn special relief package programme for giving subsidised edible items to the poor has been proposed in the budget. Various hydro and alternate energy projects being launched include the construction of 350 small dams. The Rs404.8bn Khyber Pakhtunkhwa balanced budget for 2014-15 with Rs139.8bn annual development programme addresses almost all the problems the province is faced with but gives only partial remedies to the economic, social and industrial woes of the impoverished province. “The budget is a status-quo budget devoid of any change, vision and reform agenda and neglects the potential sectors. KP is beset with flight of capital, rising unemployment, terrorism and energy shortage. Joblessness is on the rise –there is 14.8 percent unemployment in Khyber Pakhtunkhwa against around 9.5 percent at national level. Province own revenues have remained stagnant. Real estate not taxed. Emergency steps were needed for economic growth, industrial revival, infrastructure development, energy supply, revival of sick industrial units, improvement in law and order, focus on technical and IT education but there is no proper roadmap for the areas. The government has failed to give a new mineral, industrial, hydel, oilg/gas and tourism policies reflective of its change agenda,” says the KP chamber of commerce and industry (Kpcci) president Zahidullah Shinwari. Agonizing further is the fact that around 70 percent of the development funds lapsed in the current fiscal, he added. The new budget is bigger by 69bn from the current year budget of Rs344bn while the ADP is higher by Rs21bn from this fiscal’s ADP of Rs118bn. Major revenue receipts include Rs227.12bn federal tax assignments, Rs12bn net hydel profit plus Rs32.27bn as NHP arrears, Rs29.26bn oil/gas royalty, Rs27.29bn war on terror grant Rs35.35bn as foreign assistance besides some others sources. KP’s own revenue receipts are estimated at Rs29bn (up by 70 per cent against the current year) include Rs19.45bn tax receipts and non tax receipts of Rs9.3bn. Rs12bn as GST on services which rose by 100 per cent is inclusive of tax receipts. The province also earns Rs2.85bn from own power plants. Unlike other provinces, the budget has been divided into welfare, administrative and development sections but it is insignificant as welfare and administrative is the current budget having an outlay of Rs265bn while development budget is Rs139.8bn with Rs100bn local and Rs39bn foreign component. The budget suggests insufficient measures to check current expenditure which has reached around 70 per cent of the total budget. The finance minister promised to provide 15000 more jobs in public sector but he agreed that joblessness cannot be eliminated by government alone. Without support of private sector and for that matter economic growth, the problem couldn’t be achieved. There seems to be a genuine attempt this time round to raise the provincial revenues locally and reduce dependence on federal and foreign funds. The PTI-led KP government has proposed a progressive tax on agriculture income, land tax and a progressive property tax. KP has established KP revenue authority. This year a proper survey will be conducted to properly determine property tax. It intends to raise the ratio of provincial taxes and fees on stamp duty, professionals and professional institutions, business establishments, agriculture income and salaries. The rise in taxes/fees is expected to hit the consumers ultimately for it will be passed on to them. Strangely, a PTI-led government is to tax educational institutions including medical, engineering and law colleges. The minister said KP is replete with abundant human and natural resources but its population is living under poverty and backwardness for unfair distribution of resources, flawed planning, joblessness, illiteracy, corruption, nepotism, weak accountability system and lack of good governance and vowed to root out these evils. Prepared under the “Integrated Development Strategy”, the budget aims at good governance, responsive social services delivery, economic prosperity, peace, economic growth and job creation, improved transparency and accountability, enhanced fiscal space, gender equity and donor harmonization. The minister said public private partnership act has been approved. The private sector would be involved in the construction and maintenance of public sector development projects. Education has proved to be its biggest priority. However, important economic sectors have been allocated paltry sums: Rs3.4bn for power sector against Rs1.4bn in current year, Rs4.7bn against Rs3.28bn for irrigation and agriculture Rs1.58bn against Rs1.53bn in current year. The detailed expenditure report for the current year reveals that vital social and economic sectors of the ADP like social welfare, education, agriculture, energy/power and industries had been allocated Rs0.6bn, Rs24bn, Rs1.53bn, Rs2.2bn and Rs4.4bn respectively but actual utilisation remained at Rs.2bn, Rs3.72bn, Rs0.63bn, Rs0.65bn and Rs1bn could be utilised in this fiscal in that order. Agriculture is the backbone of the economy as 70 per cent people in KP are dependent over it for their survival but only Rs1.5bn has been allocated for the sector. The poverty and inability of farmers to use enough quality inputs to raise their produce but the government comes up with only loans on easy terms for them. A Board of investment and trade has been formed to ensure investment friendly environment and for economic revival. KP oil and gas authority has been constituted for better use of existing resources and to explore new ones but its impact is still not discernable. To bring down poverty and accountability, the government has promulgated the right to information law and established a commission for access to information, access to services’ commission and conflict of interest commission, ihtesab commission, a complaint cell in CM secretariat. And a public procurement regulatory authority established to make the procurement system of hiring of services, goods and construction transparent and corruption free and introduced the market rate system instead of the composite scheduled rates to ensure transparency in development schemes. The minister said KP industrial sector is hit by lawlessness, energy crisis, limited market, high cost of production, dilapidated infrastructure and lack of technical knowhow. For this technical education is to be promoted which has been allocated Rs3.7bn. Technical University will be established. Under the self-reliance scheme with a Rs2.7bn rolling fund has been proposed to give interest free loans of Rs50,000-200,000 to jobless youth on their personal guarantee. He said the mineral sector could be used for poverty alleviation but then only allocated Rs0.62cbn in ADP for the sector. The government intends to set up stock exchange in Peshawar to support the progress of industry and trade sectors and wishes the federal government to take further measures in this regard. The government proposed ‘several austerity measures’ to bring down expenditure. No foreign treatment/training, no new cars and no posts to be allowed unless approved by CM. But he didn’t specify what happened to similar measures in the current budget. The minister said the government has formed committees for monetization and economy which are working with far reaching consequences, though he failed to identify any. The construction of houses for officials and ministers on 20 marlas and 110 per cent raise in salaries of minister, advisors etc however is being resented. Rs7.9bn has been allocated for a pro-poor initiative under which various welfare programs, such as health insurance, long-term loan for development of industries, and provincial youth technical education scheme etc would be launched. Rs6bn more allocated for a special relief package program for giving subsidized edible items to the poor. Various hydel and alternate energy projects being launched. Rs7bn have been allocated to construct 350 small dams. 400 megawatts of electricity will be produced through gas whose cheap energy will be given to industries. THE unusually cold, rainy/cloudy and windy weather in April and May in Khyber Pakhtunkhwa has delayed wheat harvesting in various stages across parts of the province. The harvesting process has been completed in KP’s hot southern climatic zone (Dera Ismail Khan, Tank, Lakki Marwat etc.,) last month and continues in the central zone (Peshawar, Charsadda and Mardan etc.). The crop in the northern zone (Swat, Dir etc) will mature later, farmers say. According to Sahibzaman and Abdul Jabbar, farmers from Swat, and Nasir Khan, a farmer from Dir, wheat crop will be ready for harvesting in a fortnight in lower Swat and Dir areas but in upper/cooler parts of the districts will be ripe by end of next month where harvesting and threshing usually last till July. Abdur Rahim Khan, general secretary Chamber of Agriculture KP, said wheat harvesting in central zone would be over within a week or so. 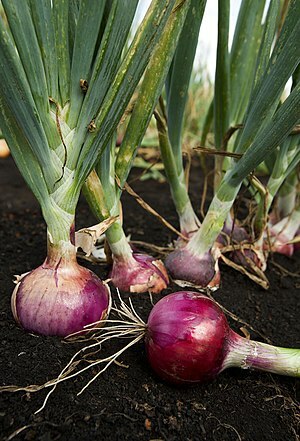 “Harvesting in the area is usually completed by the end of April but this year the cold weather delayed maturity. The farmers also feared that the harvested crop lying in the fields for threshing, may get damaged in case it rains. The manual reaping of the crop takes a lot of time,” he said. each other in harvesting and threshing. “Farmers in KP now mostly get their crop harvested through labourers. The labourers and farmers share the crop in different ratios. In Peshawar, for example, labourers get 1/10th of the produce as remuneration. In other areas, they are hired on daily wages ranging between Rs250-300 plus meals and stay,” said Khan. An official of the KP agriculture ministry said government farms and big private farms hired reaper machines for harvesting but it was predominantly done by hands. “Small landholdings, poverty and illiteracy of farmers in KP have rendered mechanised harvesting difficult and farmers either reap the crop themselves or hire labourers. But the shortage of trained harvesters is adding to their woes,” he said. Mechanical harvesting is faster and reduces post-harvest losses by a great margin, said the official. 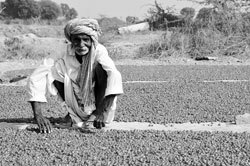 “A farmer with five acres hires labour for manual crop cutting, which costs him 13-14 maunds (over Rs18,000 at the rate of Rs1312/50kg) and takes 7-10 days. And if he goes for mechanised harvesting, it will take him 10 hours and cost him only around Rs10,000 (at the maximum rate of Rs1,000 per hour rent of the harvesting machine),” he argued. According to farmers, labourers work in groups, visit the fields or hujrah of farmers and make deals with them. These harvesters usually are known in the area and can be contacted on cell phones. Land under wheat cultivation increased from 0.724 million hectares last year to 0.758mh this year but continuing drought in the province in the critical period of grain formation, especially in the southern zone, hit the crop badly. Farmers from DIK, Peshawar, Mardan and Swabi say the wheat crop in irrigated lands is healthy but over 50 per cent of the crop in rain-fed areas, that forms 55 per cent of the total wheat acreage in KP, has been lost. Sabz Ali Shah, a farmer in Mardan, said his five jarib (2.5 acres) of non-irrigated land could produce only 12 maunds of wheat against the output of 60-80 maunds in previous years. Another farmer Gul Raj Akbar said eight wheat harvesters took two days to cut his crop on six canals at the rate of 1.3 maund/jarib. “The yield was 25 maunds of which the labourers got around two maunds (100kg). Divide this amongst eight labourers and each got only six kg a day. Is it justified for the hard work they do,” he asked. A farmer Manzur Haider, however, said, five labourers reaped his crop at 10 jarib (five acres) in less than three days and got 14 maunds in return at the rate of 1.4 maunds per jarib harvested. “More than the lack of rain, the sale and use of substandard DAP has also damaged the crop. And while the prices of DAP and urea have more than doubled in the last two years, wheat support price has been marginally increased from Rs950 to Rs1050 per 40kg,” he added. Mr Zaman said Swat crop would have been even larger had better seeds been provided to growers and lands hit by floods reclaimed by provincial authority. Financial help of farmers is necessary for the modernisation of farming and farmers’ prosperity. But small farmers who, according to some estimates, constitute 85 percent of the total 6.6 million farmers in the country, have negligible share in the agriculture credit disbursed in the country in general and Khyber Pakhtunkhwa in particular. Those residing in the far-flung hilly and tribal areas are particularly affected by it. Financial exclusion of the small farmers who have little resources to approach the research and extension systems, coupled with their illiteracy and poverty, keep away from commercial farming and expose themselves to low productivity, eventually adding to severe financial hardships. They, in turn, have to rely on informal sector for their credit needs offered at higher rates, leaving them in a vicious debt-cycle and poverty trap. Acknowledging that agricultural credit disbursement was worse in KP, the SBP launched some agriculture-credit schemes as part of its financial inclusion programme for KP but credit disbursement ratio couldn’t improve. Countrywide, less than 2 million farmers of the total 6.6 million, get agriculture credit facility. The situation in KP, which accounts for less than 4 percent of the national agriculture credit disbursement and where over 90 percent are characterised as small farmers, is particularly dismal. Khyber Pakhtunkhwa accounted for Rs 7.9bn or only 3.4 percent of the total agriculture credit of Rs233bn in 2009. Only six percent of farmers in Khyber Pakhtunkhwa have access to agriculture credit against 21 percent for the country. Various easy credit schemes, support price mechanism and subsidy regimes in the past were designed for small and medium scale farmers, but they scarcely benefited from the schemes and big landlords were the main beneficiaries. One of the main reasons of small farmers’ financial exclusion is their inability to be bankable — to be able to provide collateral (the explicit or implicit guarantee against the possible risk associated with the loan) to banks as most of them are tenants, who don’t have any property registered in their names or own land below the required level. Plenty of these farmers, especially those in villages, are also influenced and kept from applying for credit by the Riba-element, a necessary part of credit but avoided by most on religious grounds. Small farmers have been practically neglected in the existing provincial agriculture policy developed in 2005. The policy has, however, yet to be updated to focus them despite several announcements. As per the prudential regulations for agriculture financing, banks are required to ensure disbursement of working capital/short term loans within seven days but it is usually delayed. “The entire formalities for any agriculture loan require lengthy documentation and procedure and take around two to four months to get the loan,” says a bank manager on condition of anonymity, when asked about the process of loan delivery. “Small farmers should be given loans on personal guarantee. Group-based credit schemes are being followed by small banks but needs to be taken up by the main private banks as well to improve credit disbursement ratio in the country. Crop and life insurance is the best way to decrease the risk of farming community against losses and of banks against non-repayment,” he adds. Some farmers hold the banks responsible for low agriculture credit in the province. “The banks are risk-averse. They avoid lending loans to farmers for fear of default. Much has been said of the one-window operation but no bank as yet has come out with a fast track mechanism for credit disbursement. The banks must simplify and re-structure their agriculture lending mechanism and mobile credit officers should reach farmers at their doorsteps to boost credit delivery,” says Shahid Khan, a farmer in Mardan. Last year, the KP government revived the erstwhile cooperative bank and promised to provide Rs1 billion seed money for easy farm and non-farm loans to small farmers from the bank but practically just Rs200mn were released. This year too, Rs400mn will be released. How can credit ratio be improved with this? Under agricultural loans scheme through the passbook system, banks are bound to allocate 70 percent of their loans to subsistence farmers but whether the law is followed is not clear. In group-based lending, developed by the SBP, small farmer groups are formed by the lenders involving 5-10 members having identical needs and registered with the former. Collateral is generally not used and is replaced by personal guarantee —-a joint liability agreement/undertaking — takes its place wherein each member takes the responsibility of the outstanding debt of all group members. In case of any change in the group, a fresh guarantee would be signed by the members. A group coordinator acts as facilitator of the group and agent of the bank. The bank ensure that group coordinator is executing the assigned tasks as prescribed like liaison with members, arrangement of meetings, etc, and if need be replace him, with the consensus of the group, in case he fails to deliver. Group members ensure that the bank receives timely repayments from individual borrower/group members. But if a borrower dies, liability lies to remaining group members. However life insurance is urged to safeguard the interests of both the borrowers and lenders. Everyone who owns or is a tenant or lessee over up to12.5 acres of land or have more than 40 sheep, has computerised national identity card, residence in the village and membership in the village organisation, is eligible for crop or non-crop loans in the scheme. Though globally 12.5 acres of land is the threshold of subsistence farming but in Pakistan one having that much land is considered a rich person given the phenomenon of small land holding in the country. According to an estimate, cultivated land per person in Khyber Pakhtunkhwa stands at just at 0.2 acres. The benchmark needs to be brought down for bank credit if small farmers are to be benefited. Repayment schedule for farm loans may be set as per production cycle of crops and for non-crop activities, like livestock farm establishment, it should be three to five years. As ordained by the 18th Constitutional Amendment, the longstanding highly centralised agriculture sector was last year devolved to provinces. It goes without saying that this devolution has increased the responsibilities of the provinces, including Khyber Pakhtunkhwa. They must come to grips with their financial and capacity constraints to deliver on this front as agriculture accounts for livelihood of around 70 percent of people in the country. Increased powers require capacity enhancement and efficiency on the part of provinces but apparently facing budgetary and capacity constraints, shortage of personnel, lack of sufficient technology, the new beneficiaries seem ill-prepared to look after the devolved subjects. What are the financial implications and how the province is coping with them? What has it done to increase the capacity of its employees to cope with the new responsibilities? While acknowledging that problems of capacity constraints are there, officials, nevertheless, claim that KP’s agriculture department is fully capable to cope with the increased responsibilities and functions following the devolution of agriculture ministry to the province. “While the provincial soil conservation directorate can fully address the devolved functions regarding soil survey of Pakistan, another post of director marketing has been created to look after the devolved agriculture products’ grading and marketing responsibilities,” he adds. To a question as to what were the financial implications of the devolution for the province, Mr Muhammad says, “We have had to own only a few personnel of the soil survey of Pakistan (SSoP), which was handed over to Punjab but it decided to take only the employees and assets within its territory. Accordingly, we have sent the case of these officials to the inter-provincial coordination (IPC) division Islamabad through the provincial IPC department and the decision is awaited. They will be adjusted as and when the decision is conveyed,” he says. “There is no shortage of money. The ANP-led government has increased the agriculture budget and it has promised to look after all our financial needs in the wake of ongoing and new projects,” he informs. But the problems remain to be addressed. The PODB has been wound up and its functions devolved to provinces. 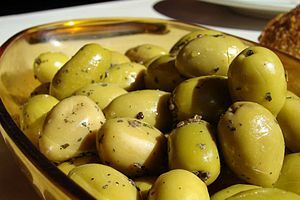 “If any province or donor agency and foreign country wish to sign a Memorandum of Understanding (MoU) for developing oilseeds or olive or any other agriculture crop, it will still have to seek approval of federal entities like PARC or ministries like economic affairs division and ministry of commerce,” says an official on the condition of anonymity. The landmark 18th amendment had devolved 12 functions and attached departments of the now defunct federal ministry of food, agriculture and livestock (MINFAL) to provinces or other federal ministries. 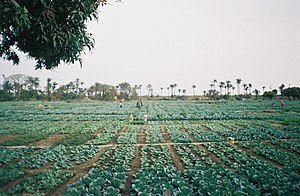 The devolved functions include those of plant protection; economic studies for framing agriculture policies; farm management/ research for planning; project formulation and evaluation; crops forecast and crop insurance; marketing intelligence; agriculture commodity, market and laboratory research; soil survey and preparing comprehensive inventory of soil resources; production of special crops like UT olive; standardisation of agriculture machinery; economic planning and coordination with regard to cooperatives; socio-economic studies for framing agriculture research policies; and high level manpower training for agriculture research. The above devolution of functions and attached departments was affected according to the notification of June, 2011. But recently, another entity with the name of federal food security and research division (FFSRD) has been formed which will cater to all the functions of the former MINFAL to ensure food security and coordinate research in the country. The FFSRD is gradually obtaining back all the attached departments that had been handed over to other federal ministries. The export of agriculture items that had been handed over to the ministry of commerce will be reverted back to the new ministry. WHEAT harvest in Khyber Pakhtunkhwa may be lower this year than expected earlier because of inhospitable weather, officials and farmers say. An official of the Directorate-General of Agriculture Extension in KP said wheat acreage in the province had increased from 724,500 hectares last year to 758,350 hectares this year but the crop has suffered badly in rain-fed areas. The raid-fed areas contributes around 55 per cent of the provincial wheat output. The continued drought mainly in southern districts has diminished the prospects of a bumper crop. Though wheat crop cultivated on irrigated lands in both the central, southern and northern districts is expected to be healthy, the crop in the fertile but rain-fed lands is feared to have been reduced by about 50-60 per cent for lack of rains during September to January. “The southern rain-fed districts of Tank, Kohat, Karak, Laki Marwat and Dera Ismail Khan together with Haripur, Dir lower, Buner etc, did not receive any rainfall at the time of sowing. Little moisture in the soil also affected the germination at the start. Later, occasional showers were received but at the time of flowering and grain-filling stages the weather remained almost dry for a long period. As a result the grain could not develop well and it is either not there or is too small. Hence lower crop yield is expected from the rain-fed areas of the province,” said the official. “In the irrigated area, the crop is very promising and high yield is expected. However, in the last week of April rains throughout the province and storms in some parts, damaged crops including wheat. In Peshawar the crop was damaged due to hailstorm in Sarband, Achini, Sango Llandai, Nodeha,” he added. When asked as to whether other factors like use of low quality seeds and less fertiliser have also affected the crop, the official said there was no shortage of such commodities. The department had obtained thousands of tons of quality seeds from registered growers or purchased them from Punjab Seeds’ Corporation and supplied these to the farmers in time. An official of the agriculture department in Laki Marwat, predominantly a rain-fed district, said though the farmers had cultivated the crop on vast track of land, lack of rain had hit the crop and reduced the output by a big margin. “Around 60 per cent of wheat crop on over 16,000 hectares in the district has no or small/dry grain. Around nine per cent of the wheat crop on irrigated land is also affected by water shortage. While generally a grain sprouts 10-12 plants when there is plentiful water, this year a grain has sprouted up only one plant in the district for lack of rains in the critical germination period,” he said. The recent spell of rain is of no use for the crop as it has already matured. The rain instead can harm the crop if followed by winds, he added. An official of the agriculture department in DIK and a farmer said the abnormal winds following rain in February this year had also damaged the crop to some extent. But the drought had little impact on the crop this year, he added. A farmer from Mardan said that while the grain was healthy in the canal-fed lands, there were reports of small grains and weak/little stems from the rain-fed areas in the district. Gushy winds after the recent downpour also damaged the mature crop as it shook and moved its roots. “While the rain reduced mercury that delayed maturity of the grains, the winds levelled down wheat plants in some areas. If rains continue, the fallen grain may fall prey to stem-rot disease for excess of water,” the farmer said. “Little wheat crop means food shortage and food inflation. I am worried how farmers will pay their agricultural debts, and feed their families when they get low yield, said Ahmad Khan, a farmer. The land under wheat cultivation in Khyber Pakhtunkhwa is 1/5th of the 2.75 million hectare total cultivable land in the province. It usually has a share of around four per cent in countrywide wheat yield. It could be increased by bringing the vast fertile land in southern districts lying uncultivated for want of irrigation water. The low acreage and less yield per acre than the rest of the country leaves the province dependent for over two-thirds of its wheat needs of over three million tons on purchases from Passco and Punjab. The government apart from bringing more land under cultivation can increase per acre yield by ensuring mechanised farming and providing better seeds. It should ensure provision of seeds and fertiliser to farmers on subsidised rates. Access of farmers to agricultural loans needs to ensured with the help of banks and NGOs. The devolved functions of the federal agriculture ministry have increased the responsibilities of the provinces and they are trying to come to grips with their cash and capacity constraints. This scribe recently talked to officials in the department of agriculture, Khyber Pakhtunkhwa, to know as to what were the financial implications of the decision and how is the provincial government coping with them? What has it done to increase efficiency and capacity of its officials to cope with new responsibilities? What has been the performance of the department to achieve its first post-devolution budget targets? The agriculture department has made elaborate arrangements to cope with the increased responsibilities and functions entrusted by the 18th Constitutional Amendment, sys additional secretary department of agriculture Israr Muhammad. “We have sufficient resources and personnel to perform the new assignment. We have restructured our department, updated the terms of references of the attached departments, created new or realigned old posts and updated rules to cope with the new demands. While the provincial soil conservation directorate can fully address the devolved functions regarding soil survey, another post of director marketing has been created to look after the devolved grading and marketing responsibilities. On the financial implications of the devolution for the province, Mr Muhammad said it didn’t have much financial impact for the province. “We have had to own only a few personnel of the Soil Survey of Pakistan (SSoP), which was handed over to Punjab but it decided to take only the employees and assets within its limits. Consequently, we have sent the case of these officials to the inter-provincial coordination division, Islamabad, and the decision is awaited,” he said. “For the provincial component of the three public sector development programme/schemes – the national programme for improvement of water courses, programme for high efficiency irrigation and the crop maximisation project – that were left to the provinces to look after them, KP has allocated Rs355 million, Rs120million and Rs170 million respectively from its own resources for this fiscal year. The money is sufficient for the year and the provincial government has assured us of financial allocation as per our needs,” he added. Responding to a question on utilisation of funds in the first post-devolution ADP, Mr Muhammad said the provincial government has already started output-based budgeting and block allocation has been made for the schemes for the first time in KP’s history. “Block allocation has ensured that no season-bound project or activity suffers for lack for delayed release of money as in the past. The midyear report being compiled these days has indicated a funds utilisation of about 40 per cent. And we are hopeful that the utilisation of funds won’t be less than 80 per cent for the entire year. Continued drought may, however, endanger agriculture output if it persists in coming weeks,” he argued. 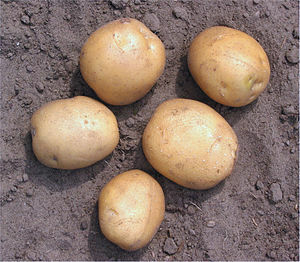 The devolved functions include plant protection, economic studies for framing /agriculture policies, farm management/research for planning, project formulation and evaluation, crops forecast and crop insurance, marketing intelligence, agriculture commodity, market and laboratory research, soil survey and preparing comprehensive inventory of soil resources, production of special crops like UT olive, standardisation of agriculture machinery, economic planning and coordination with regard to cooperatives, socio-economic studies for framing agriculture research policies, and high level manpower training for agriculture research. “Agriculture grading and marketing department, agriculture policy institute, department of plant protection, directorate general of food and agriculture, federal seeds certification and registration department, SSoP, Pakistan agriculture research council (PARC) and national agriculture research council, Pakistan central cotton committee, Pakistan oilseeds development boards (PODB) were devolved to provinces, adjusted in other federal ministries or wound up. For example plant protection department was handed over to the ministry of commerce,” said Muhammad. “That was all according to the notification of June 2011. But recently, another entity with the name of Federal Food and Research Division (FFRD) has been formed which will cater to all functions of the former Minfal, to ensure food security and coordinate research in the country. The FFRD is gradually obtaining back all the attached departments that had been handed over to other federal ministries. The export of agriculture items that had been handed over to the ministry of commerce will be reverted to the new ministry,” he said. Another official, who wished anonymity, said the PODB has been wound up and its functions devolved to provinces. “But if any province or donor agency and foreign country wish to sign memorandum of understanding for developing oilseeds or olive or any other agriculture crop, it will still have to seek approval of the federal entities like PARC or ministries like economic affairs division or ministry of commerce. Had the provinces been fully empowered in this respect, agriculture would have greatly benefited. The provinces also need germ plasm, improved seeds and other services from foreign countries. They either need to be empowered or a facilitation centre needs to be set up for the purpose at provincial or federal level,” he added. He said the provincial government was contemplating to take up the issue of PODB to the Council of Common Interest. The official said the resourceful tea, tobacco research institutes and PARC etc., have not been transferred but only the financially weaker attached departments with only liabilities and no incomes, have been handed over to provinces. The Khyber Pakhtunkhwa government has announced that it will directly purchase wheat from growers this year instead of buying the grain from other sources. And the provincial food department’s procurement drive will be financed by the Bank of Khyber. The direct procurement is expected to save around Rs6,000 per ton and could help cut provincial government’s expenditure by Rs2.5 billion in the procurement target of 0.4 million tons. While acknowledging the sharp rise in cost of production, the Agriculture Planning Institute (API) has recommended a wheat support price of Rs11.50 per 40kg for the coming season. This recommendation has been forwarded to the federal cabinet for approval. But approval of provincial chief ministers would also be needed for the price raise as the ministry of food and agriculture stands devolved after the 18th Constitutional Amendment. Whether the chief ministers would approve the proposal or not is yet to be learnt, because of its impact on urban consumers. As the elections due in t one and a half years, the government may find itself in a fix to take an early decision. It wants to please the growers by increasing the wheat support price but also knows that the increase would fuel food inflation and may result in public backlash. This explains the delay in taking the decision on the issue. The high prices of farm inputs have raised the cost of production. The API, keeping this fact in mind, has also stressed the government to withdraw taxes and duties on agricultural inputs. Small growers have been complaining of negligence and malpractices in the procurement system. “Officials purchase of the commodity from middlemen but the growers have numerous complaints. The procurement centres discourage and compel growers to approach their agents,” a farmer complained. “Because of delays in assessing the crop, that expose the produce to thieves and vagaries of weather (as it is mostly kept lying in the open at procurement centres), and frequent wrong assessment and rejection of their wheat quality/variety, farmers usually prefer to sell their produce to private buyers for quick deal at four to five per cent lower rates,” he said. The middlemen, who usually work as cartel, often reduce demand that results in price crash. In the past, Khyber Pukhtunkhwa has never been able to achieve its wheat procurement target owing to shortage of finances, wheat procurement centres, storage facilities and extensive role of the middlemen in the process. The procurement system needs to be revamped. “The government should enter into pre-sowing wheat purchase deals with farmers. It should announce the list of wheat procurement centres and increase the number of such centres. Interests of small growers should be safeguarded during the procurement of the crop, especially of those from the floods/militancy hit areas,” says a farmer. With the advent of the wheat-sowing season in the country, farmers are demanding an increase in the wheat support price but the question is should it be increased and if yes to what extent, or should the old support price remain unchanged in the coming year? Farmers argue that cost of production has swelled in the wake of rising cost of agriculture inputs on account of growing energy prices, eradication of subsidies and imposition of general sales tax. Though an suitable raise in official wheat price is their right, it needs to be remembered that any exorbitant increase, like the one in 2008, when the wheat price was raised from Rs625 to Rs950 per 40kg all at once, would make life miserable for the majority population, hit hard by floods and terrorism-hit slump on one side and the rising inflation and poverty on the other. The agriculture planning institute (API), the former agriculture pricing commission, while acknowledging the sharp rise in the cost of production, has recommended a wheat support price of Rs1150 Per 40kg for the coming season. This recommendation has been sent to the federal cabinet for approval. But approval of the provincial chief ministers would also be required for to raise the support price as the ministry of food and agriculture and federal committee on agriculture, which would initiate and complete the process, stand devolved after the 18th constitutional amendment. The question is: Will the provincial governments give their consent to the suggestion, thereby directing the public wrath towards themselves and totally absolving the federal government of any blame? Whether the chief ministers would approve of the suggestion or reject it, it is yet not clear as yet. Whatever decision the government wants will have to be taken soon as it will directly impact the wheat acreage and eventually the food security situation in the country in the coming year. But with elections due in less than two years, the government finds itself in a fix: it wants to please farmers by raising the wheat support price but also knows that the raise would increase food inflation and public unrest, which could provide further fuel to the anti-government campaign. It explains the delay in taking a decision on the issue. It is writing on the wall that the government would raise the price eventually as it can’t displease the powerful landlords- PPP’s traditional strength- who are to massively benefit from the move and because the poor have no organised and powerful lobby to thwart the attempt and safeguard their interests in the power corridors. Constituency-based politics, experts argue, has forced the government not to take any decision that could annoy the feudal class where a majority of the government elite come from. Higher wheat support price in general benefits the big farmers at the cost of higher food inflation, higher interest rate, lower investment in other sectors and lower growth, they argue. Pakistan is the only country in the world to have subjected agriculture inputs to general sales tax, which increases cost of production, believed to have climbed by about 200 per cent in recent years, and brought commission agents and dealers under sales tax which eventually mean high prices for consumers. The API has also stressed the government to withdraw taxes and duties on agricultural inputs. Annual average wheat production in the country is 24 million tons. It means farmers pocketed around Rs98 billion additionally each year during the last three years from wheat alone if even half that produce was sold by them. Khyber Pakhtunkhwa farmers grow one million ton wheat each year. By this analysis, the farmers here have earned around Rs10bn in this head annually. Hundreds of billions of rupees have been transferred to the rural economy on account of hike in major crops during the last three years. This is a big amount and the state of life of millions of farmers should have improved but the opposite is the case. Big landlords, constituting only 10-12 per cent of all farmers, might have benefited but smaller and poor farmers, forming over 85 per cent of the farmers, usually fail to take advantage from the raised price as they have no resources and contacts in the right quarters to carry and sell their outputs at the procurement centres. Small farmers have been complaining of negligence and malpractices in the procurement system. “Officials purchase the commodity from middlemen but numerous defects are pointed out when small growers approach the procurement centres; they are discouraged and compelled to approach the agents,” a farmer complained. “For delays in assessing the crop, which exposes the produce to thieves and vagaries of weather as it mostly lies in the open at the procurement centres, and frequent wrong assessment and rejection of their wheat output, farmers usually prefer to sell their produce to private buyers for easy and swift deal though on four to five per cent lower rates,” he said. In the wake of lacklustre procurement campaign, the agriculture commission mafia that usually work as cartel reduce demand, resulting in price crash and the poor farmers either have to sell it at lower prices or consume it themselves. Ironically the agriculture department has no role in the procurement of wheat and the work is performed by the food department in all provinces which obviously neither has neither direct connections nor sufficient information on the farmers. The Khyber Pakhtunkhwa government has announced it would directly purchase wheat from growers this year rather than from other sources. The Bank of Khyber has agreed to finance the procurement drive by the provincial food department for this year. Lesser direct procurement exert great financial burden on provincial exchequer on purchase and transportation from other provinces. Direct procurement saves around Rs 6000 per ton and could help save KP around Rs2.5bn if the procurement target of 0.4 million tons is reached and over Rs20bn if it procures all of its 3.5mn tons requirements from the open market. In the past, KP has never been able to achieve its wheat procurement target for shortage of finances, wheat procurement centres and storage facilities and extensive role of the middlemen in the process. The procurement system needs to be revamped. “The government should enter into pre-sowing wheat purchase contracts with farmers. It should announce the list of wheat procurement centres and increase the procurement centres. Interests of small growers should be safeguarded during the procurement, especially those from the floods/militancy hit areas,” he added. Agriculture research in Pakistan in general and Khyber Pakhtunkhwa in particular is being undermined by scant funds, negligence by the government and private sector, and some procedural hitches. Agriculture research expenditure in Pakistan is just 0.3 percent of its gross domestic product while it is 2, 0.5 and 0.4 percent in Malaysia, Sri Lanka and Bangladesh respectively. In 2002, research expenditure in China and India was $2.6bn and $1.4bn but it was only $0.17bn in Pakistan. It is much less than the average international expenditure of $10bn for that period. And this meagre allocation too is on the decline for many years in actual terms. In Khyber Pakhtunkhwa, agriculture research has received only Rs0.24bn while livestock research Rs0.27bn, just around 0.3 per cent of this year total ADP of Rs 85bn. And almost 90 percent of this meagre amount is consumed by establishment/operation and management expenses while expenditure on operational research is restricted from 3 to 10 percent. In terms of expenditure per research scientist too, Pakistan just spends $0.05mn on its each scientist while Malaysia, Sri Lanka and Bangladesh spend around $0.35mn, $0.1mn and $0.09mn in this head. For a population of one million, United Kingdom has 1400, the United States has around 2400, India has 64 but Pakistan has only 44 scientists. Khyber Pakhtunkhwa with around 25mn population has only five PhDs for this number. Institutional autonomy and increased flexibility with accountability for research institutes, robust role for private sector, special focus on small-scale farmers and marginal areas, conservation of the natural resources and ecosystems, recruitment of scientists/workers on merit, career structure for scientists, review of mandate of institutions and their rationalization, mechanism to constantly consult the relevant stakeholders for setting up research agenda, establishment of research coordination fund, operational funds for research-extension linkage and endowment fund for agriculture research and development are some of the steps needed to be taken. There is an acute shortage of research personnel in the provincial agriculture research directorate. The shortage of senior researchers is particularly serious which, according to an official of the ministry of agriculture, can be disastrous for the directorate, agriculture and for the people in the province. “Many researchers are performing their duties under compulsion but waste no time when they get an offer from private companies which pay them hefty amounts. Most of the officers are performing their duties in the same scales for the last 30 years despite being qualified,” said the official, on the condition of anonymity. He said while the researchers at the Pakistan agriculture research council get regular opportunities for promotion, the ones in the province retire in their initial grades despite being as much qualified. Links between universities and agricultural research institutes and farmers and extension agencies improve performance. But there is still huge room for better coordination between universities, research institutes, and farmers’ and non governmental organisations. Agricultural education and research is controlled by agriculture universities worldwide. But these were looked after by the KP government till 1986 and then under the USAID funded project for transformation and integration of provincial agricultural network (TIPAN), these were handed over to the Agricultural University Peshawar as agriculture research system (ARS). But in 2006, it has been again given to the government department. The decision has, experts say, has deprived the research sector and agriculture of plentiful financial resources, technical and material support and close liaison with foreign universities and other research bodies available to university-supervised ARS in the province. According to Muhammad Khalid, an agriculture expert, the ARS worked pretty well before it was disbanded. “1980s was the golden period for agriculture development as funds, transport, equipments, machinery and foreign trainings were available for research. Most of the technologies being cherished by the province were built then. The research sector should be given back to Agriculture University and the entire extension directorate be left at its disposal to help it transfer the technology to farmers,” he said. “Scientists respect their teachers and thus coordination would be better and work speedier. Again, it will minimise corruption in project formulation and implementation as university professors and technocrats are usually honest. Universities also have close collaboration with foreign universities and, therefore, get research grants, projects, and technology more for their good reputation and credibility than the government/department which are suspected by international aid agencies. This cannot be denied at least for Khyber Pakhtunkhwa where out of a total of Rs16bn of foreign funded projects in the ADP, there is no single project for agriculture,” Khalid argued. This is due for another reason. Provinces account for 50 percent of agriculture scientists but 18 percent of PhDs against agriculture universities which account for 23 percent agriculture scientists without PhD and 50 percent with PhD. Out of 350 Punjab’s agriculture PhDs, around 270 are from universities while around 90 percent in Sindh are from universities. There are around 130 agricultural scientists having doctor of philosophy in one or the other disciplines of agriculture. Of these, 90 are working in the agriculture university Peshawar while the rest are at institutes. Twenty five new varieties of different crops, fruits and vegetables were developed during year 2003 while 17 during year 2004 but in subsequent years the pace of development remained sluggish on these fronts. When another official was asked had that trend subsided after the 2006 decision, he, wishing anonymity, claimed research work had continued and new seeds and technologies had been introduced but also conceded that financial resources at the disposal of researchers had considerably decreased, impacting research work and even maintenance of the precious machinery and technology obtained during the TIPAN had become a major headache for the sector. The earlier official, however, said rather than association with universities, it is commitment, leadership and internal working of the people in it that matter most. “ARS, no doubt expedited work, improved fund availability and performance of the sector. But the research staff of the department was not dealt at par with their research fellows in universities. We were neglected in foreign training, education and other benefits as professors had the upper hand in decisions. The reason, thereof, was that the merger was not complete but half in nature for opposition in provincial assembly. So, administratively the department was given to university but for financial needs it was dependent upon the government,” an official said. However, he conditionally endorsed the handing over of agriculture and its related sector to university. “There should be complete merger. The department officials should be given opportunities for promotion, education and better grades like those available to university professors. If this is ensured, there cannot be any better mechanism for agricultural development,” he said. National and provincial agriculture research system in Pakistan is multi-departmental like agriculture research institutes Tarnab or single commodity oriented ones like cereal crops research institute, Pirsabak. In all there are six federal and 13 provincial research institutes which are assisted in research work by 13 agriculture/veterinary sciences universities. 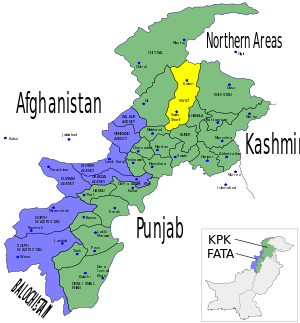 The now defunct federal ministry of food and agriculture and that of science and technology and Pakistan atomic energy commission each have four agriculture research establishments while water and power development authority had two such bodies. BECAUSE of slow utilisation of funds, the Rs800 million project for early recovery of agriculture and livestock in Swat and Upper Dir has been extended for another year up to March 2012.To utilise the rest of the Rs500 million fund and to extend the project to the Malakand division, the provincial Rehabilitation, Reconstruction and Settlement Authority (Parrsa) has committed another Rs200 million. The project has received a mixed response from officials and farmers. While the project director Sanaullah Khan and some farmers from Swat were all praise for it, others criticised the alleged favouritism in choosing target areas and distribution of agricultural inputs etc. The project is financed by Italian government. Mr Khan said: “Restoration and enhancement of agriculture and livestock in the area, formation and revival of the 127 male and 24 female organisations in villages, community empowerment, establishment of linkage between communities and government/service providers are the achievements of Eralp. Besides, capacity building of stake holders and development of private nurseries, fish farming and diversification of livelihood options are some of the notable achievements of the project so far,” he said. “Swat farmers harvest wheat crops during July. According to a survey in 27 of the 32 UCs in the area, per hectare yield has jumped by 266 per cent to four tons per hectare from 1.5 tons/ha in 2009. Quality inputs were provided to farmers in appropriate quantities at proper time besides provision of technical guidance,” he said. The Eralp during last year distributed 63 tons of maize, 24 tons of peas, 235 tons of wheat, 640 tons of onion and around 10 tons of pulses seeds along with fertiliser among growers. Another 51 tons of DAP and 436 tons of urea were also provided to them. About 0.296mn plants out of the target of 0.4mn were distributed to establish new orchards. And 10 poultry farms were set up and around 5,500 poultry units were provided to poor households in 32 union councils of Charbagh, Kabal, Khwazakhela and Matta tehsils of Swat and Dokdarra UC in Upper Dir. In the livestock sector, against the 13,000 animal vaccination target, 48,000 were vaccinated. In the forestry sector, the target of 2.1 million plants reforestation has been crossed. Top working on 0.1mn olive trees against the target of 0.2mn was done. Block tree plantation has been done at 2,200 hectares against the target of 1,500 hectares. About 25 farmers’ field schools are being constructed and 156 agriculture and 177 livestock extension workers were trained. Out of a plantation target of 7,305 hectares in Swat, 5450 hectares have been achieved. Work on four trout fish farms worth Rs1.92mn has been completed or is in progress. On seven spurs work is complete and on others it is under progress. Work on 60 water channels worth Rs58.35mn is either completed, or is awaiting approval, it adds. In the next phase, 10,000 hand compression sprayers and 500 power sprayers would be provided to farmers. Similarly, 10 biogas plants would be installed and 20 private fish farms opened in the area. movement of project staff were some of snags in the implementation of the project. Abdul Jabbar Khan, president of association for protection of farmers and tillers’ rights district Swat, said farmers in the area had been devastated by militancy and floods and therefore needed support. “But what the Eralp offered was peanuts,” he says. “Most of the work was done on the basis of nepotism and favouritism. For example out of 13 UCs in Matta, work was done only in two UCs -Sambhat and Arkuk- while the other areas stood totally neglected,” he adds. As to allegations of nepotism and favouritism, Mr Sanaullah rejected them and said uniformity of coverage had been ensured in the project area. Mr Jabbar rejected the project’s figures for wheat and said floods, non-availability and cost of inputs had in fact decreased wheat yield in the area. area as agreed with the donors at the designing stage. “The Upper Swat area and other districts of Malakand Division were out of the project’s sphere that is why there were no project activities there. But if the donors/government provided us the requisite funds, the project could be extended. Happily, the promised Rs200million would be utilised for the purpose,” an official said. Here is the original text of the article as it was sent to the paper. On the back of low utilisation of funds during the stipulated time and in realisation of its positive impact upon lives of farmers, the Rs800 million Italian government funded early recovery of agriculture and livestock project (Eralp) being implemented in of Swat by the provincial rehabilitation, reconstruction and settlement authority (PaRRSA) has been extended for another year and the project amount is being increased. To spend the remaining Rs500mn project money and considering its progress, Eralp that was to finish by March this year, has been granted one year extension till March 2012 and PaRRSA has committed Rs200mn to spread its coverage to the entire Malakand division, sources said. For the first year of Eralp, officials and farmers in the area have different claims on its effectiveness. 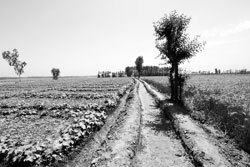 While Sanaullah Khan, the project director, and Tariq Khan and Sher Bahadur, farmers from Swat, were all praise for the project, other farmers were critical of alleged nepotism and favouritism in the process of determination of target areas and the distribution of agricultural inputs and other benefits under the project. Mr Khan said: “Restoration and enhancement of agriculture and livestock in the area, formation/revival of the 127 village male and 24 women organizations in the area, community empowerment, establishment of linkage between communities and government/service providers, capacity building of the stake holders, sense of ownership, accountability and transparency, environmental development through block community plantation/soil conservation and development of private nurseries, fish farming and diversification of livelihood options are some of the notable Eralp achievements thus far,” he said. “Swat farmers harvest their wheat crops during July. According to a survey in 27 off 32 UCs in the area, per hectare yield has jumped by 266 per cent to 4 tons/ha from 1.5 tons/ha in 2009. This was inevitable as quality inputs were provided to farmers in appropriate quantities at proper time besides provision of technical guidance,” he stressed. Official brief on the performance of Eralp during last year, says 63 tons of maize, 24 tons of peas, 235 tons of wheat, 640 tons of onion and around 10 tons of pulses seeds were distributed along with fertilizer. Separately, another 51 tons of DAP and 436 tons of urea were also provided to farmers. About 0.296mn plants out of the target of 0.4mn were also distributed to establish new orchards. And 10 poultry farms were established and around 5500 poultry units of chicks were provided to poor households in 32 union councils of Charbagh, Kabal, Khwazakhela and Matta tehsils of Swat and Dokdarra UC in Upper Dir. In the livestock sector, against the 13000 animal vaccination target, 48000 were vaccinated. In the forestry sector, the target of 2.1 million plants reforestation has been crossed. Top working on 0.1mn olive trees against the target of 0.2mn was done. Block tree plantation has been done at 2200 hectares against the target of 1500 hectares. 25 farmers’ field schools are being constructed and 156 agriculture and 177 livestock extension workers were trained. 3 out of 20 private fish farms have been established and support to 2 fish farms out of 4 has been provided. In the next phase, 10,000 hand compression sprayers and 500 power sprayers would be provided to farmers. Similarly, 10 biogas plants would be installed and 20 private fish farms opened in the area. And animal feed of around 3000 tons and over 40,000 molasses blocks would also be distributed, the documents reads. “Out of a Swat plantation target of 7305 hectares, 5450 has been achieved. Work on 4 trout fish farms worth Rs1.92mn has been completed or is in progress. And work on 7 spurs has been completed, is in progress on 4 and on 16 the sanction is awaited. Again, work on 60 water channels worth Rs58.35mn is either completed, in progress or awaiting nod, it adds. Khan agreed that short duration of the project, 2010 floods, insufficient availability of certified seeds, and restricted movement of project staff were some of the problems of the project. Abdul Jabbar Khan, president of association for protection of farmers and tillers’ rights district Swat, said farmers in the area had been devastated by militancy and floods and therefore needed support. “But what the Eralp offered was peanuts. What impact could the delivery of a package comprising two/three bags of fertiliser, 50 kg of seed and some other items to a small number of farmers have on the recovery of agriculture in the area which has hundreds of thousands of growers,” he says. “But even these inputs were also not given to genuine farmers as no real farmers or village organisations were formed. My area still has none. Most of the work was done on the basis of nepotism and favouritism only in two UCs -Sambhat and Arkuk- off 13 UCs in Matta and other areas stand totally neglected,” he adds. Mr Jabbar rejected the project’s figures for wheat and said floods and non availability and costliness of inputs had in fact decreased wheat yield in the areas. Mr Sanaullah said Eralp adhered to its claim of increased outputs: “Since the project approach is participatory, these activities can be cross-checked with the 151 VOs/WOs as these VOs along with government line departments are partners in the project”. “There is a need to establish genuine VOs and to allocate more money for reconstruction of the destroyed agriculture, irrigation and communication infrastructure and rehabilitation of farmers,” said Sahib Zaman, another farmer from Matta Swat. As to allegations of nepotism and favouritism, Mr Sanaullah rejected them as baseless and said that decision on appointments, determination of areas, distribution of inputs and other project activities were taken strictly on merit by a broad based committee (comprising donors, establishment department and PaRRSA) as per government policy of Khyber Pakhtunkhwa. The upper Swat areas like Kalam, Uthror etc and other districts in Malakand division have been totally neglected. It seems some easily accessible areas have been focused at the cost of others. Sanaullah, however, said Eralp was working in the predefined area as agreed with the donors at the designing stage and uniformity of coverage had been ensured in the project area. “The Upper Swat area and other districts of Malakand Division were out of the project’s sphere, so there were no project activities there. But if the donors/government provided us the requisite funds, the project could be extended. Happily, the promised Rs200mn would be utilised for the purpose,” an official said. THE livestock sector in Khyber Pakhtunkhwa, despite having great potential for poverty alleviation, has not developed on commercial lines because of paucity of funds, capacity and technology constraints. While the share of livestock sector has been increased to Rs0.6 billion or 45 per cent of Rs1.35 billion total provincial agriculture budget, it not enough to care of the development needs of the sector. The agriculture budget forms only 1.59 per cent of the provincial annual developmental programme whereas the share of livestock sector stands at 0.7 per cent of the total ADP. The distribution of this tiny budget over numerous projects not only makes their timely completion impossible but also deprives farmers of the fruits of development and research initiatives for years. For example, for the three ongoing schemes of livestock extension needing Rs380 million, Rs127 million has been allocated and for eight new programmes worth Rs1525million, only Rs246 million has been made available for the year. The Achai cow conservation and development plan worth Rs222mn, which started in 2009, has been allocated a meagre sum of Rs42 million for the year though it needed Rs141 million. For another project of livelihood improvement through strengthening of gender-based livestock interventions worth Rs300 million, intended to provide female livestock farmers with training, animal offspring, hens and better communication, only Rs15million has been earmarked for this year. Development of improved poultry production, processing and marketing models though public-private partnership in KP has been launched with a total outlay of Rs300 million but only Rs25mn has been released. It is a problem of trying to achieve too many objectives with a too little amount, but officials would not accept it. A senior official of livestock and dairy development, Khyber Pakhtunkhwa, declined to offer his comments saying it was a policy questions beyond his domain. He, however, said the funds for the ongoing schemes were apportioned as per the demand of the department and that for the new ones the allocation was usually low in the first year of implementation. The livestock extension has got Rs0.24 billion, livestock research and development Rs0.27 billion and the veterinary research institute Rs0.08 billion. 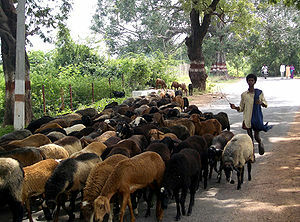 The important ongoing and new schemes of livestock extension include establishment of dairy colonies in DIK, Peshawar and Mardan; Achai conservation and development programme and establishment and construction of veterinary dispensaries; poverty alleviation through improved rural poultry production in Mardan; gender-based livestock interventions in rural areas; meat and dairy production/development with market linkages and development of improvement of poultry production under public-private partnership. In the livestock research sub-sector, for four ongoing projects, Rs207 million has been set aside while for five new projects Rs68 million has been earmarked. Important ongoing and new projects include strengthening and development of poultry sector in Hazara division, barani research institutes for goat and sheep in Kohat, pilot projects for increasing milk and meat and establishment of livestock research centre in Dir, projects for creation of facilities for drugs residue determination, for introduction of modern milking and milk-processing techniques, for reproductive efficiency, for improvement of fodder and forages in southern region and the goat/sheep research centre in Swat. A sum of Rs70 million will be spent for improving the local goat species through cross-breeding with high-calibre foreign goat species. For the four ongoing and one new project of veterinary research institute, Rs67 million and Rs16 million has been allocated. The lone new project in this field is that of poultry diseases investigation and vaccine production centre in Peshawar. Apart from the provincial ADP, the livestock sector in the province has been allocated Rs5.2bn in the federal budget as well. A sum of Rs2.1 billion has been earmarked for upgrading district veterinary clinics, Rs0.8 billion for rural poultry farming, Rs0.5 billion for upgrading the Harichand farm, Rs0.4 billion for livestock extension through female workers, Rs0.25bn for preservation and development of local sheep in Hazara and Malakand, Rs0.5bn for model dairy farms at divisional level, Rs0.8bn for modern slaughter houses and Rs0.5bn for district diagnostic laboratories. The size of foreign assistance in the new ADP is over Rs16bn but there is no project for the livestock sector. More than 90 per cent livestock is owned by small farmers who need animal progeny and guidance but there is specific project for them. The government has yet to open model dairy, beef and poultry farms in every district of the province despite making promises to this effect. Around 15 per cent of the milk produced is wasted during collection process causing a loss of billions of rupees to farmers. But despite this, neither of the public nor the private sectors has made any worthwhile investment for establishing a proper milk collection/preservation system, chilling tanks and milk processing plants. The provision of cheaper fodder/feed and soft loans to livestock farmers, animal-fattening programmes, range management for communal grazing, small enterprises for compound feed manufacturing, evolution and promotion of high yielding varieties of fodder crops and beef-breed development etc, have been neglected.